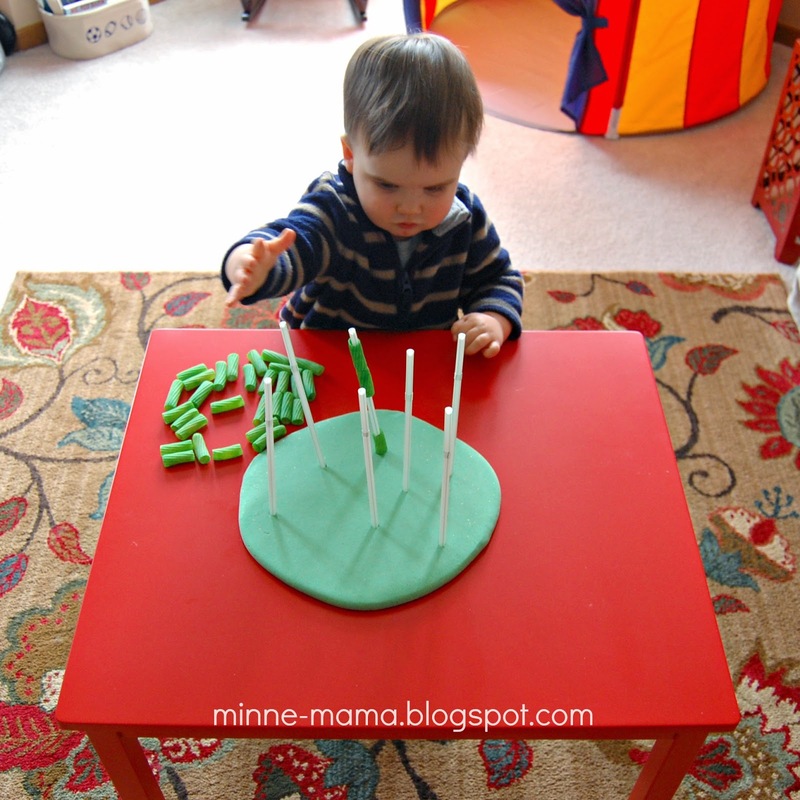 Since around Valentine's Day, I have been wanting to try pasta threading with Skyler. 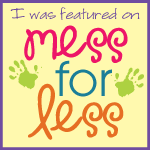 I was inspired by this activity from Buggy and Buddy. Since today is the first day of spring (!!!) 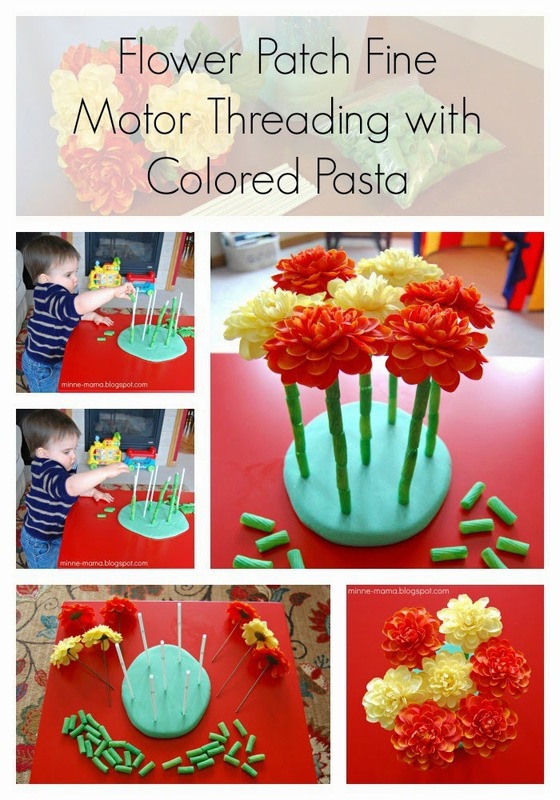 I wanted to do a flower patch version of the pasta threading activity. Since the pasta is the stem of our flowers, first I dyed it green. 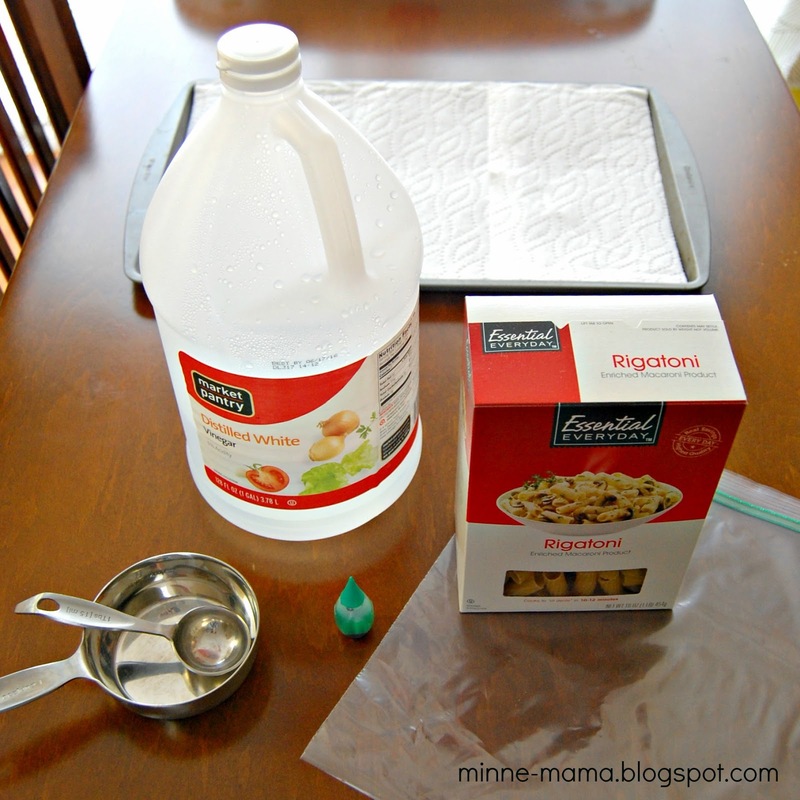 I used three cups of rigatoni pasta, two tablespoons of vinegar to help spread the green food coloring and set the color. 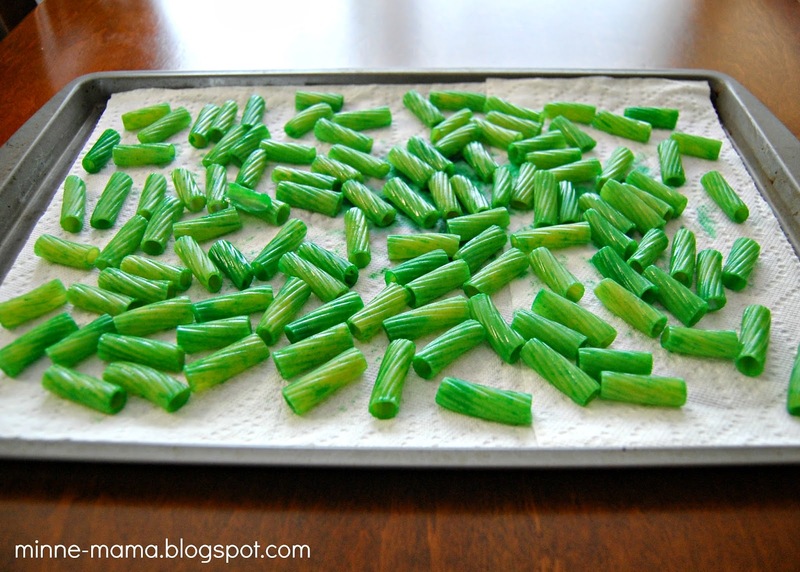 I dropped in food coloring until I was happy with the shade of green and then I spread them onto a baking sheet lined with paper towels (I usually use wax paper, but was out). 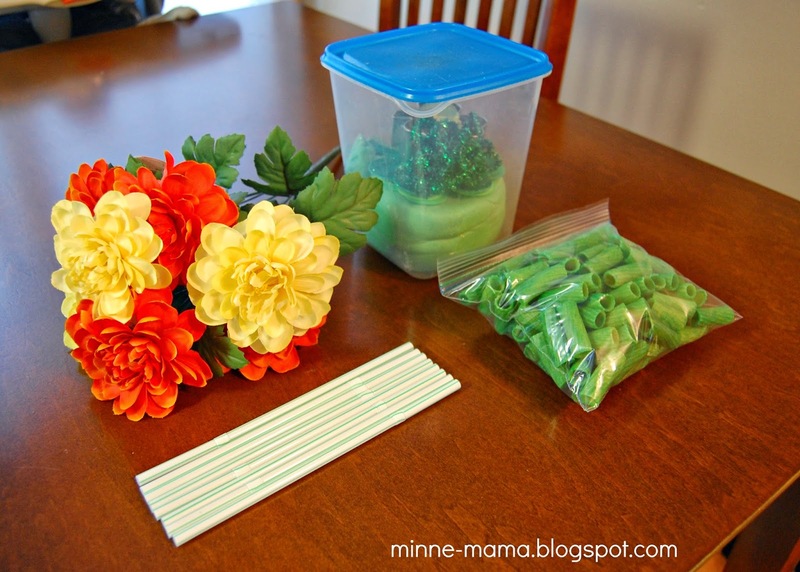 When the pasta was dry, I assembled all of the materials needed for the activity including the colored pasta and some straws, our St. Paddy's Day Play Dough (minus the accessories), and I cut the individual pieces off of a bunch of artificial flowers. 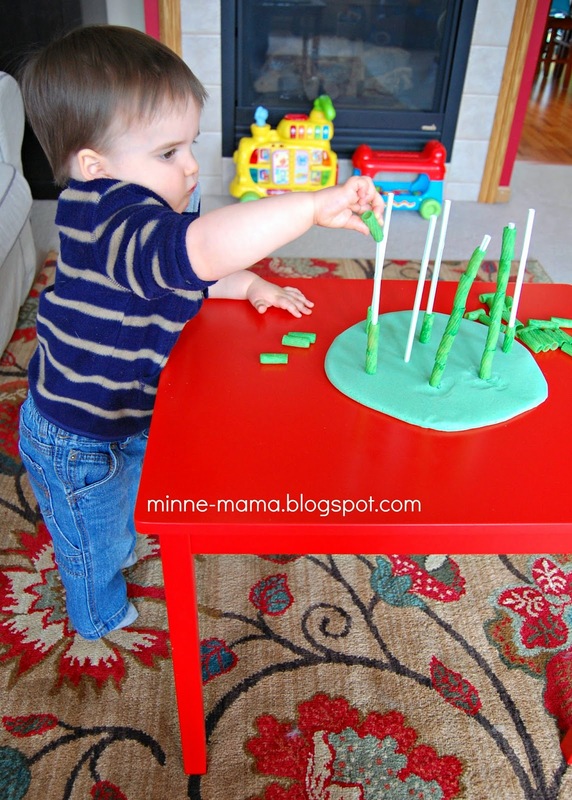 I rolled the play dough out on Skyler's table and we put the straws in together. I showed Skyler how to thread the pasta onto the straws and his eyes got wide, he smiled really big, and then he was busy filling the stems with colored pasta! 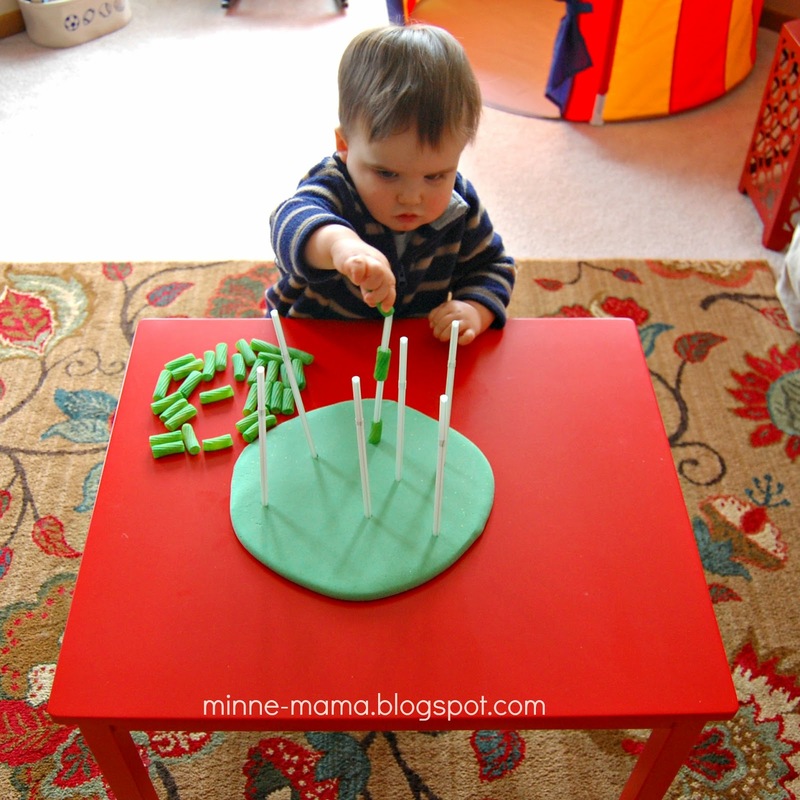 Skyler really enjoyed this threading activity. 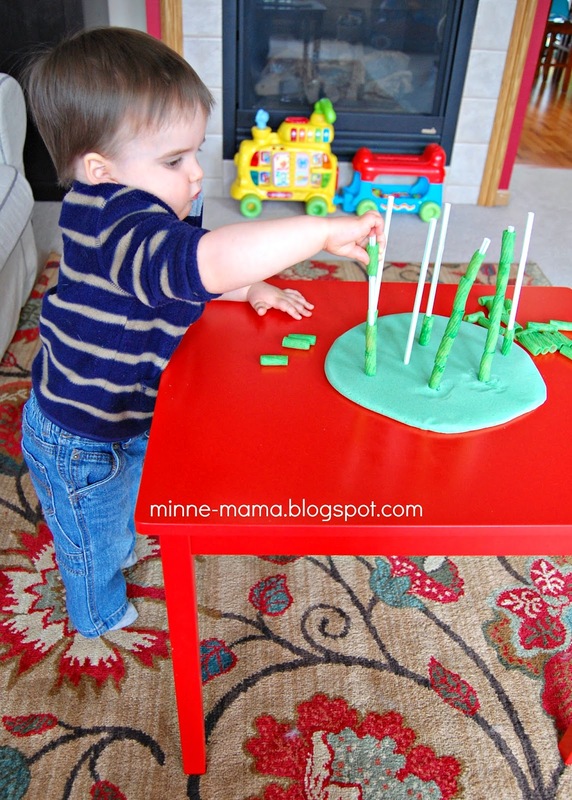 He walked around the table, filling the length of straws with pasta, taking them apart, and doing it over again! After he had been playing with just the pasta for awhile, I introduced the flowers. 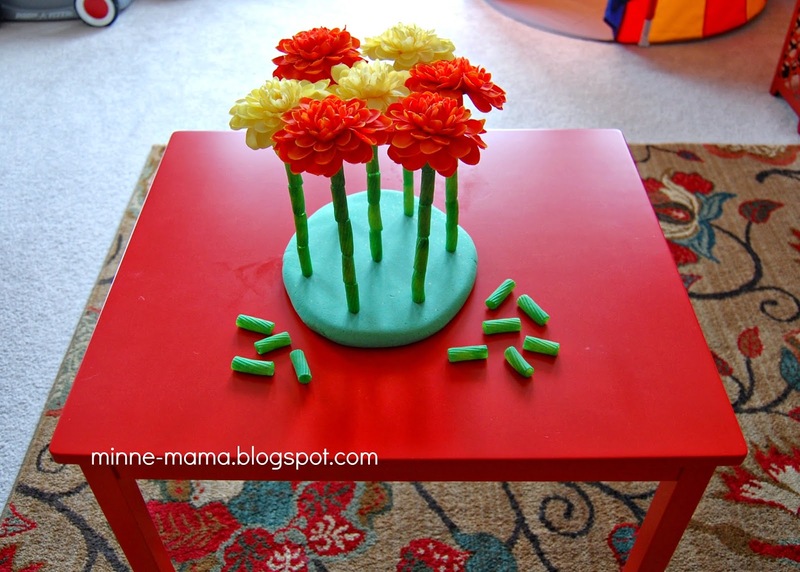 Skyler put a couple of flowers into the straws, and put some straight into the play dough. 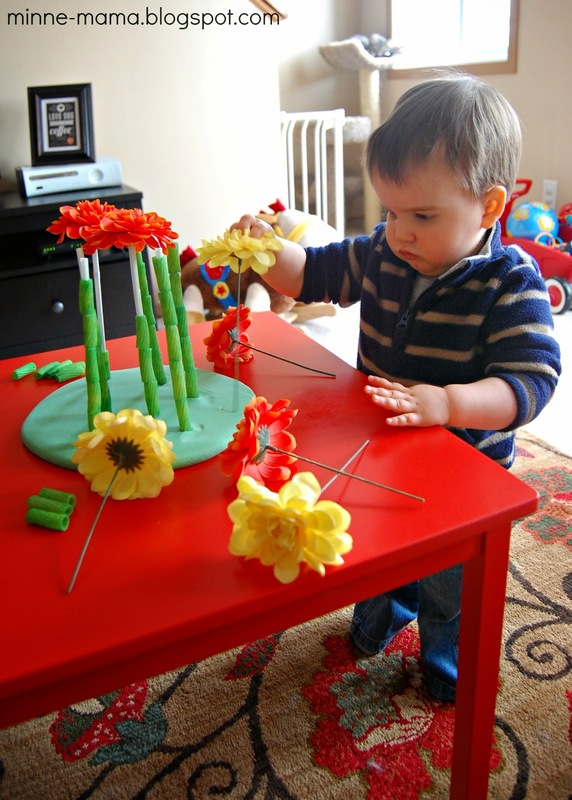 But mostly he wanted to spin and dance to music with the flowers! 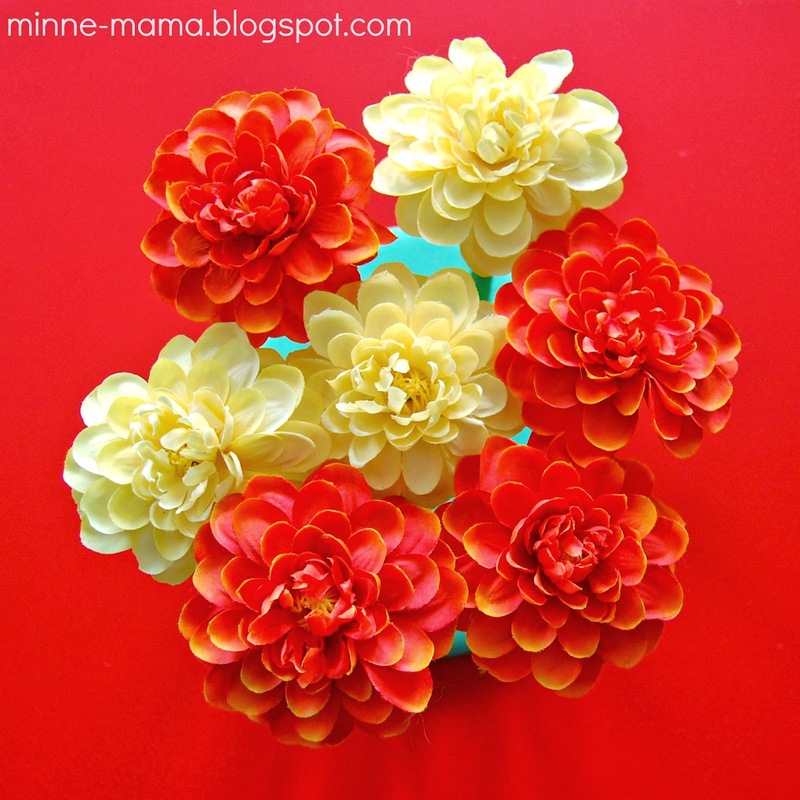 We had a lot of fun with this activity and it was great fine motor practice for my little one (especially putting the flowers into the straws). 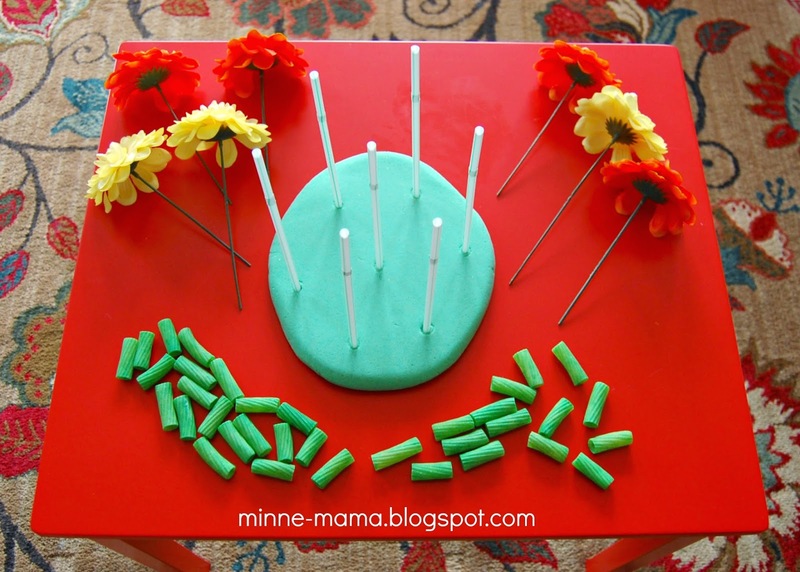 This skill building activity is the perfect way to welcome spring! It looks so pretty all put together, I kind of want to leave it out just because it looks so cheerful. Thank you! 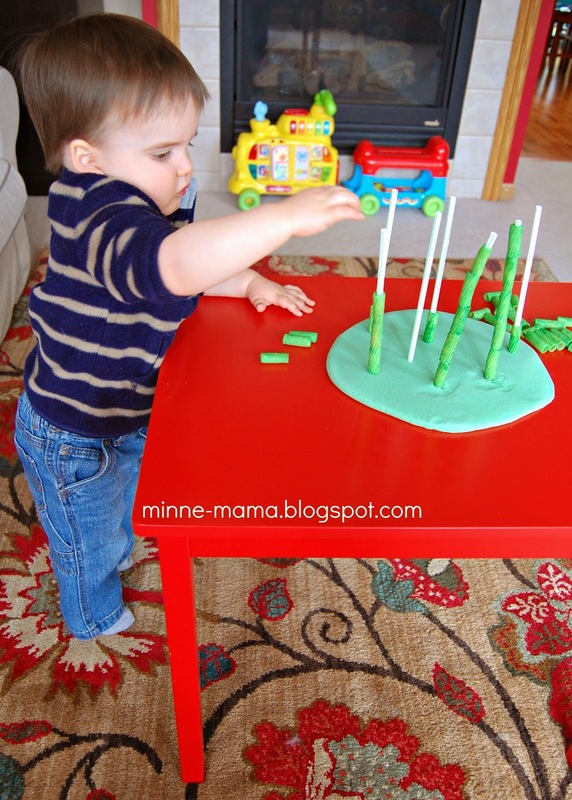 I loved how even though it was so simple for me to put together, my son has had endless fun with this activity and it looks so beautiful! Thank you, sevinc! 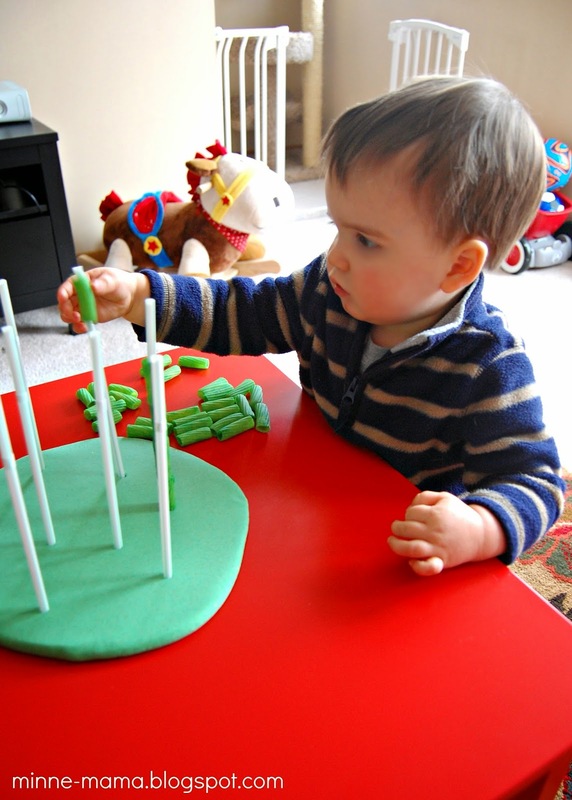 I rolled the play dough a little too thin for Skyler, his straws were wiggling quite a bit, but since that first time playing with it, I roll it thicker and then it is incredibly easy to work with! 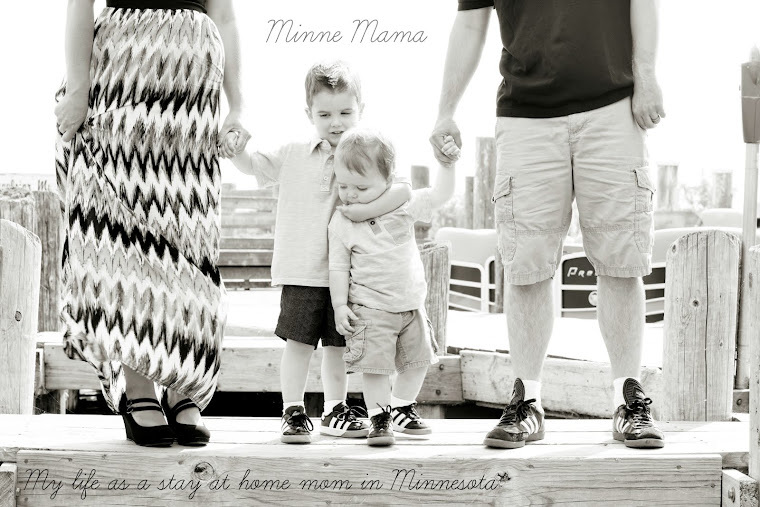 Thank you, Mama Carmody! 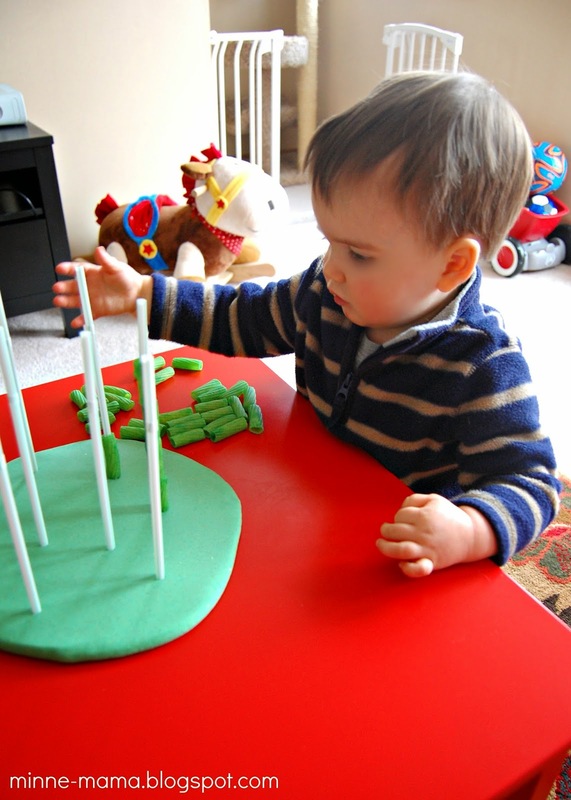 I hope your grandson and great-nephew have a lot of fun with this activity!